NLSI’s APL team, led by Ben Bussey, is researching the Moon’s polar illumination conditions to help identify the best landing areas near both lunar poles, for a variety of landing scenarios and mission goals. 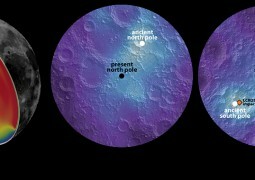 New topographic data returned by the LOLA instrument on NASA’s Lunar Reconnaissance Orbiter permit the study of the Moon’s polar illumination conditions to a level of detail that was not previously possible. The team used these data, together with LROC images, to analyze the best places to land for different mission scenarios. These may not correspond exactly to the “best pixel” of an illumination map but are a factor of landing error ellipse. Simulations: Images such as those from LROC provide a very precise snap shot of the illumination conditions for a particular Sun position. However one limitation of images is that they show the lighting conditions at the surface, whereas mission planners need to know illumination conditions at the height of the solar arrays. The team developed a simulation capability called LunarShader which uses a topographic product (e.g. LOLA DEM) and a user-selected Sun position to precisely simulate the lighting conditions. Different mast heights can be accounted for in the software. A zero mast height obviously corresponds to surface illumination, and these data are used to compare with LROC WAC images as a way to test the fidelity of the simulations. They found that the simulations precisely match actual images that were acquired with the same illumination conditions. Comparison between the output from LunarShader (left) and a LROC WAC image (right) shows the simulations match well with the images. Credit: Bussey et al 2011. The usefulness of illumination simulation analyzes is that they permit the study of all possible illumination conditions, something that is not feasible with image analysis alone. One extreme example is the determination of the locations of permanent shadow. 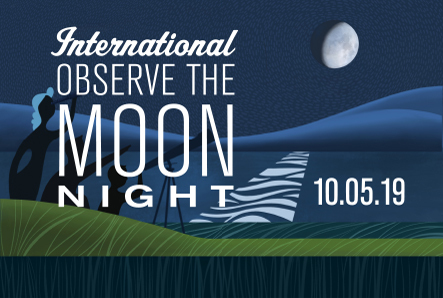 With images, one would typically use those acquired during a lunar day in summer. It is reasonable to assume that places that do not see the Sun in summer remain shadowed for the rest of the year. Whilst this is true, these areas of shadow are subtly different from permanently shadowed regions. The Sun reaches its highest elevation at a single point in time during a year. Study of ephemeris data covering hundreds of years shows that the subsolar longitude corresponding to this instant of maximum solar elevation varies. Therefore to map permanent shadow, one needs to keep the Sun at this highest elevation for ALL subsolar longitudes. This is the method that we use when mapping the locations of permanent shadow that could contain ice deposits. Key Parameters: There are several key illumination parameters to be considered when one is planning a surface mission to the lunar poles. Perhaps the two most important are the duration of the single longest shadowed period (this usually occurs near mid winter), and the duration of the longest single period of constant sunlight. Using simulations the team is able to fully characterize the illumination conditions at chosen locations on the lunar surface. This allows them to map out the occurrence and duration of all shadowed periods. Analysis of these data also yields information on the key parameters mentioned above. Single longest shadowed period: The duration of the single longest shadow period is key if one is trying to design a system that can survive for longer than a year. 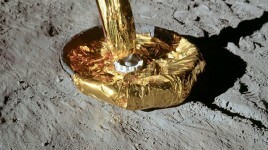 The battery design may be driven by the longest amount of time that the lander will be in shadow. Previous analysis using Kaguya-derived topography indicated that places exist that have maximum shadowed durations of only a few days. The team is redoing these analyses using the higher resolution LOLA data. Maximum length of continuous sunlight: This parameter is key if planning a lander system that is not designed to survive long periods of eclipse. Analysis indicates that places exist that are constantly illuminated for months at a time, nominally centered around mid Summer. Also, using simulations, one can determine a similar parameter, one of quasi-permanent sunlight. This is the amount of time where a lander would not experience an eclipse greater than some selected value, typically a few hours. Ideal Landing Sites: As mentioned above simulations permit the determination of key parameters that are used to determine ideal landing sites. For each parameter, e.g. areas of maximum mean illumination, there are usually a few “best” pixels. In fact, these locations have been known since Clementine images were released. What they are now able to do is to conduct detailed illumination analyses on much larger areas. The issue is that these “best pixels” may not actually represent the best landing site selections, due to the ramifications of missing these sites. For example, some of the sites that receive the most illumination are adjacent to pixels that would be catastrophic from a landing operations perspective. The team is therefore considering realistic landing error ellipses and determining which areas have the best key parameters. Essentially each landing area is only as good as the worst pixel it contains.